Source: The Season of Rachel Carson. As schools nationwide begin to reopen after summer break this week, I found myself revisiting the idea of early childhood environmental education while I helped my mom prepare for another year teaching at Bozeman’s Pilgrim Preschool. Therefore, ECEE captures that critical time before elementary school when children—arguably the most in touch with their natural roots—not only exist in their most impressionable states of being but are also powerful agents of change (Wilson, 1996). The early years of childhood are when most people develop their phobias of and their affections for the natural world (Louv, 2007). Many of the current models of child development suggest a connection between a child’s experiences and the development of their attitudes and way of understanding the world around them. Children, especially young children, learn by hands on experience through which they actively construct their knowledge base (Bandura, 1977; Dewey, 1938; Nye, 1986; Piaget, 1947; Vygotskiĭ, 1998). ECEE can be an opportunity to expose children to the natural world in a way that will encourage positive interaction between the child and their environment through hands on experiences. A caring parent and/or educator can help guide a child towards positive and beneficial attitudes and ways of thinking about nature (Robertson, 2008). The traditional “Western/European” approach to learning, however, tends to separate children from nature both physically and psychologically. Urban children consequently tend to fear wildland places and feel uncomfortable when surrounded by natural elements (Wilson, 2006). On the other hand, children who consistently experience nature tend to develop more positive attitudes and actions towards it (Wilson, 2006). Reinforcement of nature-based experiences over time is key to fostering positive relationships between children and nature (Hungerford & Volk, 1990). This is evidenced in how many adults with a positive connection to nature can associate it with their childhood experiences. Early childhood experiences with nature have been linked with the development of creativity, wonder, and imagination and in turn help foster a life-long love of the natural world (Cohen, 1984; Devall, 1984/85; Raglan, 1993; Sebba, 1991; Tanner, 1980; Wilson, 2006). Furthermore, childhood encounters with natural places, such as a forest, have been shown to positively correlate with the individual’s later patterns of use and attitudes towards such places as an adult (Thompson, Peter, & Montarzino, 2008). To encourage such lasting development, children should be provided with consistent access to natural places (which can be a park, urban garden, or even a potted plant in cities), encouraged in natural play activities, and their ways of knowing—which are more rooted in experience than an that of an adult—respected (Wilson, 2007). Today, however, children are playing outside less and are increasingly disconnected with nature (U.S. Fish and Wildlife Service, 2010). Richard Louv’s (2007) research on nature-deficit disorder helps establish the importance of nature in the lives of children by connecting the increasing lack of nature in today’s technologically driven generation with many serious and rising childhood issues such as obesity, depression, and attention disorders (Louv, 2005). As more and more land is developed, not only is natural habitat destroyed, but communities also tend to be erected in ways that deter any real contact with nature. This, in combination with several other societal factors such as the rising popularity of video games, is discouraging early childhood experiences in nature (Louv, 2007). The current generation of young children’s physical contact and intimacy with nature is fading; such is the premise of nature-deficit disorder. Source: Montana Outdoor Science School. Joseph Cornell’s pocketbook, Sharing Nature with Children (1979), provides forty-two games designed to help children learn from nature, to stimulate joy, and to foster insights and experiences through nature for children. The Chippewa Nature Center, Corvallis Waldorf School, Montana Outdoor Science School, and Hopa Mountain all have environmental education programs, including ways to bring the outdoors into the classroom as a strategy for teaching about the natural environment. This can be as simple as choosing play toys made from natural materials, such as wood, over synthetic materials, keeping plants and animals in the classroom, and using pro-nature books in lessons (Wilson, 2006). Source: Rachel Carson Sense of Wonder Contest. The United States Environmental Protection Agency (EPA) puts on an annual poetry, essay, photo, and dance contest called the Rachel Carson Sense of Wonder Contest. Entries are from teams of two, made up of a young person and older person, with the intention of working across generations to share their interactions, reflections, and sense of wonder “for the sea, the night sky, forests, birds, wildlife, and all that is beautiful to your eyes.” This year’s 2012 contest focused on water to celebrate the 40th Anniversary of the Clean Water Act. 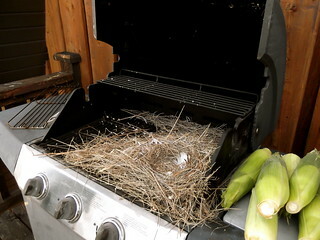 The Nature Nursery, a preschool from central Alberta Canada, centers its curriculum on a nature-based theme. 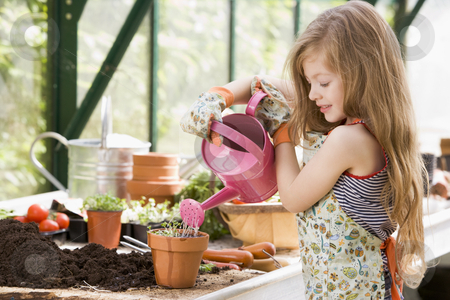 Young children participate in dramatic play, crafts, books, games, and outdoor exploration. The idea is to connect children to nature and the environment. Early Childhood Australia (ECA), the country’s national association for early childhood educators, released a Code of Ethics in September 2008 that includes a requirement for its educators to encourage and educate children so that they understand their place as global citizens with shared responsibilities to both humanity and the environment. The North American Association for Environmental Education published an Early Childhood Environmental Education Programs: Guidelines for Excellence (2010)—essentially, standards for ECEE programs. So there are examples and success stories of ECEE taking form and action. In fact, the Project WET Foundation has had plans to expand its Kids In Discovery series (KIDs) activity booklets to include Little KIDs activity booklets for preschool-age children (funding is, not surprisingly, the roadblock). As programs like those highlighted in this post grow in popularity, I look forward to environmental educations programs becoming a normal part of school curriculums, rather than the exception. Armitage, K. C. (2007). ‘The Child is Born a Naturalist’: Nature Study, Woodcraft Indian, and the Theory of Recapitulation. Journal of the Gilded Age and Progressive Era, 6 (1), 43-70. Bandura, A. (1977). Social Learning Theory. Upper Saddle River, New Jersey: Prentice Hall. Boyle, L. (2006). Environmental Experiences in Child Care. Putting Children First (19), 14-17. Cohen, M. J. (1984). Prejudice Against Nature. Freeport, Maine: Cobblesmith. Devall, W. (1984/85). A Sense of Earth Wisdom. Journal of Environmental Education, 16 (2), 1-3. Edwards, S., & Cutter-Mackenzie, A. (2006). Chapter 19: Eco-Literacy and the Content-Pedagogy Relationship in Early Childhood Education. Sharing wisdom for our future, 170-177. Hungerford, H. R., & Volk, T. L. (1990). Changing Learner Behavior Through Environmental Education. Journal of Environmental Education, 21 (3), 8-21. Louv, R. (2005). Last Child in the Woods. Chapel Hill, North Carolina: Algonquin Books of Chapel Hill. Louv, R. (2007, March/April). Leave No Child Inside. Orion Magazine. Nye, R. D. (1986). Three psychologies: Perspectives from Freud, Skinner, and Rogers. Belmont, California: Brooks/Cole Publishing Company. Piaget, J. (1947). The psychology of intelligence; translated. [Psychologie de l’intelligence]. London: Psychology Press. Raglan, R. (1993). Reading the World: Overt and Covert Learning in Environmental Writing for Children. Journal of Environmental Education, 24 (4), 4-7. Robertson, J. S. (2008). Forming Preschoolers’ Environmental Attitude: Lasting Effects of Early Childhood Environmental Education. Thesis. Sebba, R. (1991). The Landscapes of Childhood: The Reflection of Childhood’s Environment in Adult Memories and in Children’s Attitudes. Environment and Behavior, 23 (4), 395-422. Tanner, T. (1980). Significant Life Experience: A New Research Area in Environmental Education. Journal of Environmental Education, 11 (4), 20-24. Thompson, C. W., Peter, A., & Montarzino, A. (2008). The Childhood Factor: Adult Visits to Green Places and the Significance of Childhood Experience. Environment and Behavior, 40 (1), 111-143. U.S. Fish and Wildlife Service. (2010, April 26). Rachel Carson National Wildlife Refuge. Retrieved July 12, 2010 from U.S. Fish and Wildlife Service: http://www.fws.gov/northeast/rachelcarson/aboutus.html. Vygotskiĭ, L. S. (1998). The Problem of Age. In The Collected Works of L.S. Vygotsky: Child psychology (Vol. 5, pp. 187-205). New York: Springer Publishing. White, R. (2006). Young Children’s Relatinship with Nature: Its Importance to Children’s Development and the Earth’s Future. Taproot, 16 (2). Wilson, R. A. (2006, Summer). Environmental Education: Bringing the Outdoors In. Day Care and Early Education, 32-34. Wilson, R. A. (1996). The Development of the Ecological Self. Early Childhood Environmental Education Journal, 24 (2), 121-132. Wilson, R. A. (2007). The Wonders of Nature: Honoring Children’s Ways of Knowing. Early Childhood News. Last week when I was in Santa Barbara, CA, I focused my post on the area’s source water. The natural follow-up is a source water profile of Bozeman, MT. Credit: RJ Zaworski, used with permission. Bozeman is in the 2,602 sq. mi. Gallatin County, which sits in a scenic valley at the heart of the Rocky Mountains and intersects seven watersheds. The City of Bozeman itself intersects three: the Madison Watershed 10020007 (left highlighted section on map of MT right), the Gallatin Watershed 10020008 (middle highlighted section on map of MT right), and the Upper Yellowstone Watershed 10070002 (right highlighted section on map of MT right). As explained last week, watershed proper names are followed by a hierarchical string of numbers ranging from 2 to 16 digits called a Hydrologic Unit Code (HUC). HUCs describe the location and identification of a hydrologic area and come from the U.S. Geological Survey’s (USGS) nationwide system for watershed delineation based on surface hydrologic features. Anyone in the U.S. can look up their watershed address using the U.S. Environmental Protection Agency’s (EPA) online tool for locating and defining watershed addresses. Bozeman’s water profile can be examined by first establishing “what’s in” and “what’s out”. That is, the people served by the City of Bozeman’s public water supply system (PWS) have different source water than those people outside of city limits. According to the Montana Department of Environmental Quality’s (DEQ) Public Water Supply Online Query, the City of Bozeman’s water system serves 32,000 people. These 32,000 residents receive their water from three sources: Hyalite Creek, Sourdough Creek, and Lyman Creek. Treatment Plant Operator . Credit: RJ Zaworski. Both Hyalite Creek (51 sq. mi. drainage area) and Sourdough Creek (33 sq. mi. drainage area) are surface water sources and combine for 80% of the City of Bozeman’s water supply source (40% each; see graphic left). Hyalite Reservoir—also known as Middle Creek Reservoir and constructed in the late 1940s before being expanded in 1993—stores water from Hyalite Creek for current and future use. 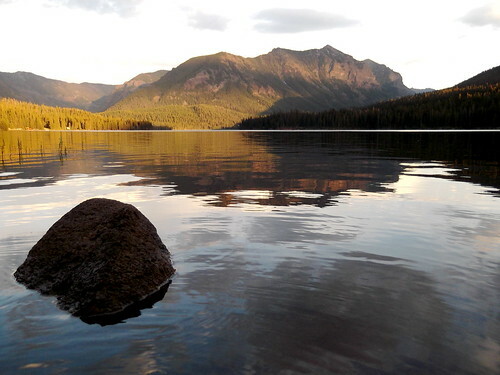 The reservoir is just over 10 miles up Hyalite Canyon and is a popular recreation area for campers, hikers, boaters, and other outdoor enthusiasts. Sourdough Creek water has not been stored in a reservoir since Mystic Lake Dam breached and was torn down in 1985. Instead, the City of Bozeman’s water system extracts creek water directly from the watershed in Sourdough Canyon. Recent discussions have proposed building a new dam and reservoir on Sourdough Creek to prepare for the growing city’s future water needs. Lyman Creek, on the other hand, is a groundwater source and accounts for the remaining 20% of the City of Bozeman’s water supply. The creek is located in the southern foothills of the Bridger Mountain range. Unlike Sourdough and Hyalite Creeks, Lyman Creek water is extracted from a fully enclosed spring and is thus classified as groundwater. These three water sources supply the 32,000 people connected to City of Bozeman’s PWS. But there are about 91,000 (2011 census estimate) residents of Gallatin County. The almost 60,000 Gallatin residents outside the City of Bozeman get their water from groundwater. Other Gallatin County towns—like Belgrade, Three Forks, and Manhattan—have PWSs that rely on groundwater sources. Some use freshwater springs in their supplies, but these are still categorized as a groundwater source for the same reason Lyman Creek is groundwater. In fact, the City of Bozeman is the only PWS in Gallatin County that includes water from true surface water sources. Finally, the remaining 41,000 (2011 estimate calculated from Montana DEQ’s Active PWS System Data report) Gallatin County residents not connected to established city and towns PWS systems* receive their water through one of two main sources: through a privately-owned well or through a small PWS system. Quality District Manager and Water Quality Specialist. Whether or not a well is privately owned or is classified, licensed, and monitored as a PWS under DEQ hinges on three factors (see chart left): connections, people, and days used. A well must be registered as a PWS if it has 15+ connections and/or serves 25+ people—the PWS must also operate under these conditions for at least 60 days of the year. If a well does not meet these requirements, it is a privately owned well. The distinction between PWSs and private wells matter regarding how they are regulated. PWS laws and rules can vary depending on its classification. Finally, those remaining Gallatin County residents not on any sort of PWS are on privately-owned wells. In stark contrast to PWSs, private wells are not under any regulation from the DEQ. This means water quality testing and monitoring is not required and instead left to the owner’s discretion. While most wells are deep and new enough to likely produce un-contaminated water, some private wells are old and shallow. In either case, it is important private well owners test their water for contamination, which can come in many forms. When a well is deep enough, the groundwater it produces tends to be of good quality—water in Gallatin county rarely has even trace amounts of contaminants like heavy metals and chemicals. The risk usually occurs when the well structure (e.g., a well cap) is old or failing and when a well is not dug deep enough. Unfit well structures can leave the water vulnerable to contamination by harmful bacteria, pathogens, and animals. Shallow wells have less opportunity and time to filter out surface water contaminants that seep down into the well. The best way to find out if a private well falls into either of these categories it through water sample testing. The Gallatin Local Water Quality District website provides an extensive library of resources for private well owners. The site offers a long list of useful Fact Sheets that cover topics ranging from bacterial contamination in wells to water sampling procedures. The site is scattered with tips about wells, procedures, and tools. There are also directions for testing drinking water quality. Owners can receive discounts on drinking water testing by participating in the Well Educated Program—a program in partnership with the MSU Extension Water Quality Program . MSU Extension also has educational videos for individual well and septic users. And, if online resources still leave questions unanswered or concerns unresolved, give the staff at theGallatin Local Water Quality District a call or email— they are very friendly and helpful. (Click to Enlarge) Credit: RJ Zaworski, used with permission. Whether a resident of the City of Bozeman, Big Sky, or other places in Gallatin County, your water comes from either groundwater or surface water. Water is collected, stored, transported, treated, distributed, and recovered through a system of water infrastructure (see graphic above). Water connects us all and is the lifeblood for society. The next time we turn on the tap, remember there is a long, organized water system working to ensure not just the availability of water but its quality as well. Special thanks to RJ Zaworski for providing the wonderful graphics for today’s post. *note: the 41,000 estimate was calculated from Montana DEQ’s Active PWS System Data report. The report lists all active registered PWSs in Gallatin County. Only a few cities and towns actually have an established “Town of/City of” PWS—Bozeman (32,000), Belgrade (7,000), Manhattan (1,500), Three Forks (1,800), and West Yellowstone (8,535). 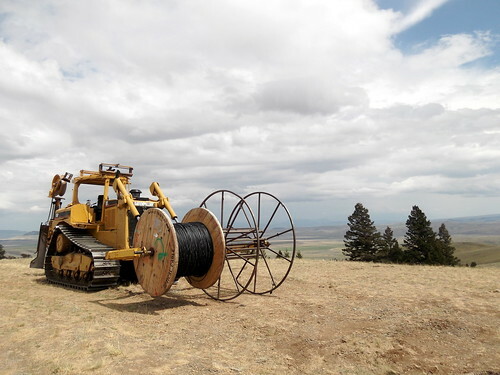 The remaining towns and settlements in Gallatin County are supported by a series of smaller PWSs operated by various entities ranging from school districts and subdivisions to ranches and gas stations. Numbers estimates are based on the populations served by each PWS in the DEQ report. For example, the City of Belgrade lists a population of 7,000 connected to their PWS. The rest of Belgrade residents either rely on smaller PWSs or private wells (described in blog text). The U.S. Environmental Protection Agency (EPA) offers an online tool for locating and defining a watershed address. The address consists of a watershed’s proper name and Hydrologic Unit Code (HUC)—a hierarchical string of numbers ranging from 2 to 16 digits that describes the location and identification of a hydrologic area. HUCs come from the U.S. Geological Survey (USGS), which has a nationwide system for watershed delineation based on surface hydrologic features. Santa Barbara’s source water profile consists of multiple watersheds, namely the Santa Ynez Watershed 18060010 (northern highlighted watershed on map of CA on right) and the Santa Barbara Coastal Watershed 18060013 (southern highlighted watershed on map of CA on right). The story doesn’t end there, however. Within each watershed are a variety of sources that comprise a water profile. Santa Barbara County as a whole has a diverse portfolio of water sources that vary by city. For brevity, consider the two cities most directly relevant to UCSB: Goleta (pop. 30,000, 2011) and Santa Barbara (pop. 89,000, 2011). Source: “Where Does Your Water Come From?” Credit: RJ Zaworski. Goleta has a relatively simple water source portfolio (left). The city gets its water from two sources: Cachuma Lake (93%) and recycled water (7%). In 1953, the federal government funded construction of the Bradbury Dam on the Santa Ynez River. Cachuma Lake rose behind the dam to become Santa Barbara County’s largest reservoir. Tecolote Tunnel stretches about 6.4 miles through the Santa Ynez Mountains and diverts Lake Cachuma water for human use. Recycled water is municipal wastewater reclaimed and treated to remove sediments and impurities so it can be reused. This water source is quickly gaining popularity—particularly in urban areas—in large part because it is a local, drought-resistant water supply that helps reduce reliance on groundwater and surface water. Education about the advantages of using recycled water is helping diminish stigmas that have historically limited its use. Goleta uses recycled water for landscaping at some parks, schools, and commercial properties. Santa Barbara, on the other hand, has a mix of all five currently active county sources: groundwater (9%), Cachuma Lake (52%), local streams and reservoirs (28%), State Water Project (“SWP”, 6%), and recycled water (5%). Santa Barbara uses Cachuma Lake water and recycled water in much the same was as Goleta. However, with a population almost three times that of Goleta, Santa Barbara uses three additional sources of water. (note: Santa Barbara’s Charles Meyer Desalination Facility, built in 1991-1992 in response to severe drought, is now in long-term storage mode but can be reactivated if needed). Groundwater is mostly self-explanatory—it is the water accumulated underground in spaces between clay, silt, sand, and gravel that forms aquifers. Groundwater is replenished at various rates (can range from a few days to centuries) as precipitation infiltrates the ground and accumulates above some impermeable layer. Although not the major source of water for Santa Barbara or Goleta, the county as a whole relies on it for almost 75% of total water use. Local streams and reservoirs represent the area’s usable surface water, including manmade water stored behind reservoirs and diversion dams. Managing water supply can reduce flood and drought risks because stream flow is stored until needed. Reservoirs can also help replenish groundwater. The State Water Project—conceptualized in 1919 and funded in 1960—diverts water from Northern California rivers through the California Bay-Delta and into the San Joaquin Valley. The SWP consists of over 700 miles of canals and pipelines, 34 storage facilities, and can store 5.8 million acre-feet of water. Diverted water is used for agriculture and pumped throughout Southern California for use by over 25 million Californians. Whether a resident of Goleta, Santa Barbara, or other cities in Santa Barbara County, your water comes from one of these five described sources. Water is collected, stored, transported, treated, distributed, and recovered through a system of water infrastructure (see graphic above). Water connects us all and is the lifeblood for society. The next time we turn on the tap, remember there is a long, organized water system working to ensure not just the availability of water but its quality as well. The term invasive species conjures up some pretty graphic images of what exactly an invasive species might look like. It’s probably huge, armored and equipped with giant teeth. Chances are it’s highly adaptive and overpowers its native competition without any natural enemies—predators, herbivores, parasites, diseases, parasitoids etc.—to keep it in check. In no time, biodiversity is plummeting, populations are destabilizing and ecosystem functioning is at risk. The image reminds me of those awful sci-fi invasion movies (e.g., Battlefield Earth and Aliens vs. Predator: Requiem) in which the aliens invade earth and wreck havoc on its inhabitants. But the alien invasion image is not quite an accurate representation of invasive species in real life. Image Credit: Blog post, “How to Survive Alien Invasion Novels”. In sci-fi alien invasion movies, the “good” side (us) and “bad” side (them) tend to be clearly defined. Extraterrestrial life invades Earth with the inevitable goals of exterminating human life, taking over the planet, harvesting humans for food or labor and stealing natural resources. The lines are well defined: the extraterrestrials are the bad guys and the humans are the good guys. Invasions in Earth’s natural ecosystems are less straightforward. Invasive speciess leave evidence of their passing, but the term invasive means nothing more than that the species is spreading and outcompeting other species on a wide scale. 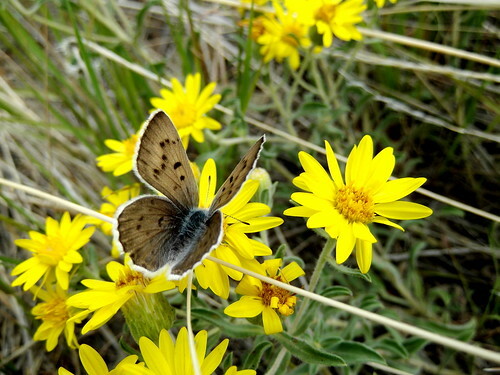 A native species can do that just as a non-native species can. Therefore, most definitions of an invasive species focus on its origin—exotic, alien, non-native, non-indigenous and introduced to name a few. Invasive species tends to have a negative connotations hinging on the implication that its introduciton will lead to a harmful or undesirable outcome. For the purposes of this discussion, I will discuss invasive species as non-native species that outcompete others with undesirable results. For example, one of the “hot” invasive species of the day is the quagga mussel (Dreissena rostriformis bugensis), a cousin of the better-known zebra mussel (Dreissena polymorpha). Where quagga and zebra mussels are both established, however, quagga outcompete the zebra mussels because they can colonize at greater depth and at a wider temperature range. This suggests quagga may pose an even more serious threat than zebra mussels. Image Credit: U.S. Geological Survey. Quagga Gallery. Both quagga and zebra mussels are native to Eastern Europe and tend to be detrimental to ecosystems in which they are introduced. They clog infrastructure and spoil recreational opportunities. They outcompete natives for food and resources. Cascading effects up the food chain can follow as the amphipod populations fish rely on for food collapse. Other ecosystem effects tied to Quagga muscle invasions include avian botulism outbreaks; elevated bioaccumulation of contaminants; and increased water acidity coupled with decreased dissolved oxygen concentrations. Image Credit: New York Sea Grant. Aquatic Invasive Species, Zebra and Quagga Mussels. Mussel outbreaks damage human infrastructure, as well. They congest water structures (e.g. pipes, screens) and increase maintenance costs. They accumulate on docks, buoys, anchors, beaches and boat hulls, disrupting recreation. Sharp mussel shells can cut people, necessitating shoes while walking on beaches and rocks. Finally, mussels attached to boat hulls can increase drag, clog engines, distress boat steering, and ultimately lead to engine malfunctions and overheating. Quagga were initially found in the US Great Lakes in 1989 and are now established in Nevada (2007) and California (2008). They spread mainly on the hulls of improperly cleaned boats. Inspection efforts at and near both infected and non-infected water bodies attempt to slow the invasive mussel’s spread, but it can be difficult to detect infested boats as the mussels can be nearly invisible to the human eye. A recent discovery of a common soil bacterium—Pseudomonas fluorescens—that kills quagga and zebra mussels but harms no other organisms offers one potential source of control. EPA has approved certain uses of the biocontrol agent, but its full release is contingent on state approval. Image Credit: U.S. Geological Survey. Nonindigenous Aquatic Species Database, April 2011. Quagga mussels are no doubt a striking example of invasive species in earth’s natural system. But the invasion is not like those depicted in sci-fi movies. We can’t simply band together as the “good” side against the “bad” mussels. It’s more complicated because the mussels are just doing what they can to survive and thrive to the best of their ability. They did not maliciously invade the Great Lakes, nor did the human boaters who acted as vectors in the spread do so intentionally. So how can we respond to invasive species? The obvious answer is to slow their spread through education and regulation. Once established, we can try to eradicate. There are countless techniques around to address these, with varying degrees of success. But it all comes back to awareness and education—the starting point for action. Center for Invasive Species Research. University of California Riverside. 2010. 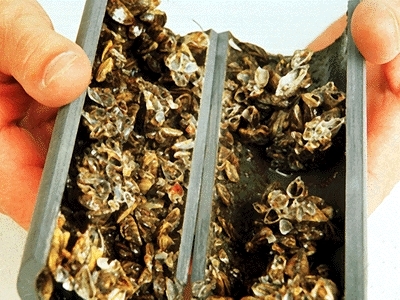 USFWS Quagga-Zebra Mussel Aciton Plan for Western U.S. Waters. 2010. USGS NAS Nonindigenous Aquatic Species. 2012. Zequanox Invasive Mussel Control. Marrone Bio Innovations. 2012. In May 2007, the world reached a tipping point. We entered the “Urban Millennium,” which marked the first time more of the world’s population lived in urban areas than in rural ones. The United Nations Environmental Program (UNEP) estimates the next milestone—two-thirds—will occur in 2050 when 68.7% of Earth’s population is expected to reside in urban areas. This is a significant increase from the 50.5% living in urban areas in 2010 and represents an additional 3 billion urban dwellers by 2050. The United States adheres to the projected increase as well: the 82.3 % of U.S. urban dwellers in 2010 is expected to rise to 90.4 % by 2050 (Minne et al., 2011). All regions of the world—illustrated in the UN image below—follow this projection. Image credit: United Nations, Department of Economic and Social Affairs, Population Division: World Urbanization Prospects, the 2011 Revision. New York, 2012. Coupled with population growth projections (note the familiar “hockey stick graph” below, and its similarity to the hockey stick graph associated with increasing carbon emissions), the shift towards urban centers suggests dramatic changes for both human society and our relationship with natural environments. Image credit: United Nations, Department of Economic and Social Affairs, Population Division (2011): World Population Prospects: The 2010 Revision. New York. As we become increasingly urban (check out a neat animated graphic here), we are simultaneously scrambling to figure out how on earth we are going to make the transition smoothly—to make it sustainably. Of course, “sustainability” is a weighted term carrying many different definitions. For demonstration purposes, I will use the term in its simplest form: from the Latin sustinere (tenere, to hold; sus, up), sustainability is the ability to sustain, or put another way, the capacity to endure. With this definition of sustainability in mind, the question now becomes: with a rapidly growing global population urbanizing against the backdrop of an unpredictable climate, in what capacity and by what means will earth continue to endure? The root causes of our current situation will not be solved by an all-encompassing solution—we are not David facing Goliath. Nor will we be able to change everything we need to all at once—our current path was not blazed overnight. But we can use our lessons as a basis for innovation and the search for a new path. I will continually revisit this idea throughout my posts, but focus on one particularly impactful movement now: “greening” urban areas. If we want to reach the most people and realize the highest value for resources used, it makes sense to go to where people are congregating at high densities—the “most bang for our buck,” as they say. With two-thirds of the world’s population in cities by 2050, efforts to make urban areas more sustainable will reach a lot of people (potentially around 6.4 billion urban residents by 2050) in a relatively small area. 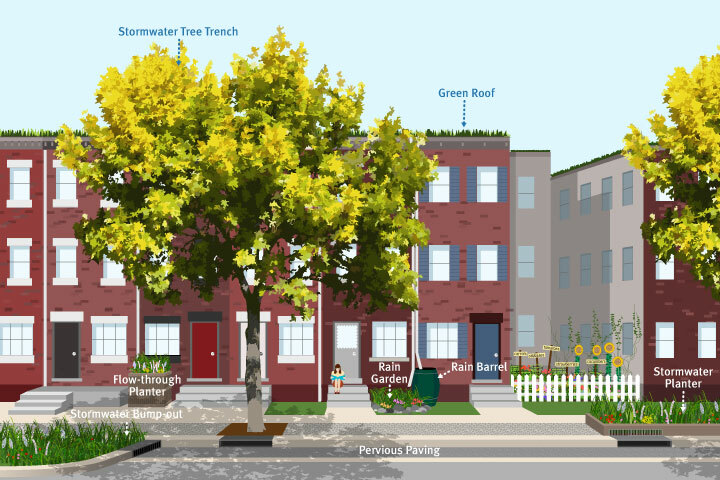 Much of the effort to green cities focuses on improving storm water management (Project WET Foundation has a KIDs book on the subject). Runoff is a serious concern when precipitation is improperly managed and allowed to flow over impermeable surfaces (think streets, sidewalks, and rooftops) and into storm drains. Storm water threatens flooding and public safety, poses risk to drinking water sources and community investment, and carries city pollution to storm drains that channel into rivers, streams, and oceans. The Philadelphia Water Department is an enthralling example of the available tools for better manage storm water. Philadelphia is currently experimenting with a large toolbox. The city is using natural features—trees, grass, shrubs, perennials, and the like— to divert storm water and prevent it from becoming runoff. These tools take the form of green roofs, rain barrels, stormwater tree trenches, rain gardens, porous paving, stormwater bumpouts, stormwater planters, infiltration/storage trenches, stormwater wetlands, and stormwater basins. These tools employ basic mechanisms often taught to seventh graders: plants aid in the evaporation, infiltration, evapotranspiration, and filtration of storm water. Storm water management infrastructure built around self-perpetuating operations found in nature is one example of innovation working towards a more sustainable future. Philadelphia is just one among many cities exploring new strategies for sustainability. Adelaide, AU, launched 5000+ in 2011 to collect and enable ideas from design professionals, businesses, non-profit organizations, government agencies, and academia for the redesign, renewal, and reactivation of the city. The German city of Freiburg is known as one of the world’s most sustainable cities for its progressive actions with energy saving and climate protection, solar energy, environmental education, environmental protection, waste management, forestry, and urban parks. Our Canadian neighbors in Vancouver generate93 % of their energy from renewable sources and have invested heavily in walking, cycling, and transit infrastructure—efforts rewarded with the smallest per capita carbon footprint of any North American city. Vancouver also adopted an ambitious Greenest City 2020 Action Plan to stay on the front lines of urban sustainability. Reykjavik, IS, tops many green city lists. Iceland’s capitol runs entirely on renewable energy—including hydroelectric and geothermal—it’s transit system uses hydrogen buses, and green spaces and cycling/walking paths are integrated and easily accessible throughout the city. Lists of urban areas taking steps towards sustainability are numerous and attest to the global challenge of sustainability (check out these: 10 Amazing Green Cities, Top 5 Greenest Cities in the World, and 10 World’s Greenest Cities). Last week I discussed why we ought to care to conserve water. Today I echo that call: over 150 million people living in cities experience recurrent water shortage (less than 100 L/person/day of clean surface and groundwater within their urban area). This number will rise to nearly 1 billion people by 2050. An additional 100 million urban dwellers will live with water shortages resulting from a changing climate (McDonald et al., 2011). Recognizing we will begin to experience these consequences within our lifetimes is imperative. However, while urban centers everywhere may be particularly vulnerable to tragic futures, they also offer an incredible source of hope and inspiration. We can make changes with far-reaching impacts—water conservation is a fantastic example. I would one day like to see Top Green Cities of the World lists a thing of the past, as being green becomes an expectation rather than an exception. Water Is Everywhere, Why Care to Conserve? I’ve been researching water and sustainability the last few days and much of what’s out there is intuitive. Fix leaks, take shorter showers, run only full loads of dishes and laundry, and try to minimize how much you water driveways and other paved areas (i.e. make sure sprinklers only cover vegetation). These are all examples of the how in the quest for water conservation, and they are all very doable changes. However, without a compelling case for why we should conserve water, making any lasting changes to status quo of water (over) consumption would be nothing short of a miracle. People generally want to know what they are doing is making a difference. To know it matters—if not personally, then to someone (or thing) somewhere at some point in time. Why else bother breaking away from what’s comfortable? Even those who try not to live beyond their means because It’s the right thing to do, do so because they understands it matters in some way. But doing the right thing in water conservation for some people can compete with the right thing in other areas of their lives. This creates conflict, which makes the right thing less straightforward. How can we ask the family struggling to put food on the table to step back and focus on water conservation? Before diving into equity complexities, let me begin with why water needs conserving in the first place. With about 332,500,000 mi3 (1,386,000,000 km3) of water on earth, it’s hard to imagine running out of water. The amount of water on earth is more or less constant—such a minute amount makes it to space that there’s no point including it in analyses. In this sense, we will never run out of water. The issue with water availability thus lies not within the total amount of water on earth, but within the amount of fresh water in forms available for use by humans and other species. An image from the United States Geological Survey (USGS) depicting the amount of water on, in, and above earth recently went around both the Bren School of Environmental Science & Management and the Project WET Foundation. Image credit: Howard Perlman, USGS; globe illustration by Jack Cook, Woods Hole Oceanographic Institution (©); Adam Nieman. It amounts to this: if all the water from our planet was gathered and balled up, the 332,500,000 mi3 (1,386,000,000 km3) of water would cower next to the size of earth itself. The biggest water sphere on this image represents everything—all water, including ocean, water vapor, lakes, rivers, icecaps, glaciers, aquifers, soil moisture, and even the water in our bodies and those of every living thing. The middle sphere depicts the fresh liquid water in the ground, lakes, swamps, and rivers. This 2,551,100 mi3 (10,633,450 km3) of water is 99 percent groundwater, much of which is unavailable for human use. Finally, the barely noticeable sphere hovering over Georgia illustrates water from the world’s fresh-water lakes and rivers. This last 22,339 mi3 (93,113 km3) sphere is notable because the majority of people and life on earth get their daily water needs from these surface-water sources. (note: these are spheres, so even though it is tempting to compare their sizes to states and countries, doing so would be inaccurate and over-exaggerate how small the spheres are. States and countries are flat, but the water spheres have depth). Even as a water resources management graduate student, this USGS image is sobering. The water connecting every living being—and every being that ever lived—is also something most of us take for granted. It’s true all that water will always be on earth. The water cycle sees to that, in all it’s sweeping complexity and constant transformation. But that also means earth will not increase it’s water supply either. The amount is fixed. And we as humans can perturb the cycle. We can pollute our finite supply of fresh water. We can extract it faster than nature can replenish it and cause imbalance in the cycle such that available water shifts into unusable stored sources. We can cause the climate to change and consequently alter where, when, and how much water is available for people to use—and research (1, 2, 3, 4, 5, 6, 7, 8, and many more) suggests the areas most vulnerable and likely to experience the greatest impacts are also the ones least responsible for the changes and the ones least in a position to adapt. But we can also choose a different path and change the status quo. Education and awareness provide the foundation upon which change is built. Without it, we wouldn’t know a change was needed in the first place, nor would we know how or what to change. Project WET and other education and outreach organizations are vigorously and passionately working to fill the knowledge gap. For Project WET, that means teacher and child education and training through a plethora of outlets. It also means recognizing we live in a world full of diverse people, cultures, backgrounds, standards of livings, and expectations. One method of water conservation—say, turning on sprinklers in early morning or late evening to minimize evaporation and maximize infiltration—might work well for some and be completely arbitrary for others (compare a sprinkler-happy country club to a rural Ugandan village). Effective education will lead to positive change when it speaks to people’s circumstance. Learning when and how to wash hands can be the difference between healthy living and disease for some, so it is important there to make that the focus of water. Capturing precipitation in a rain barrel and using it to water a garden can be the difference in improving the quality of life of inner city children, so it is important there to make that the focus of water education. The answer to the why in water conservation is different for each individual. In some cases, the when might vary as well. But one constant across all walks of life is the thirst and need for knowledge. And when that knowledge empowers people to act, the first step towards change is taken. This past weekend combined a couple of my favorite pastimes: family and photography. 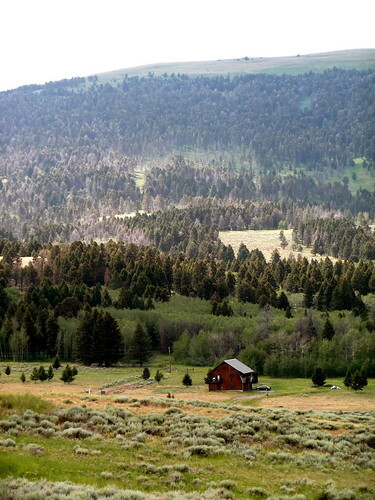 My aunt and uncle built a cabin on a 20 acre lot outside of White Sulfur Springs, MT, and the Tilleman family and friends love spending time out there. The cabin and landscape are both beautiful, which makes it a natural choice location for my cousin’s senior photos. Because “a photo is worth 1000 words,” I will let the images below support my claim. More photos from the weekend can be found here. I will add my favorite senior photos of my cousin once I am done editing them! I came across this quote from 20th-century American education theorist John Dewey in my research regarding education standards. I have already heard multiple references to different education approaches this summer, including a few that particularly stand out in regard to teaching and evaluating student learning: Common Core Standards, Next Generation Science Standards, and Project-Based Learning. Both the Common Core Standards and the Next Generation Science Standards amount to state-led efforts to provide clear and consistent frameworks for evaluating teaching and student learning in preparation for entry into college and the workforce. Common Core Standards cover only English-language arts and math, while the Next Generation Science Standards focus on science and engineering. Together, the standards can be thought of as the “what” in education. Conversely, Project-Based Learning can been seen as an option for “how” to achieve the “what.” Project-Based Learning provides structure for in-class experience-based learning teaching techniques—put simply, it is learning by doing. With roots in the work of experience-based learning pioneers John Dewey, Maria Montessori, and Jean Piaget, Project-Based Learning seeks to put students at the forefront of their own learning. In my research, I could not help but admire the work that the Project WET Foundation has done to reach the forefront of innovative education content, skill, and process. Project WET emphasizes process- and science-based approaches to learning about water. This is exemplified well in our up-coming Kids In Discovery series (KIDs) activity booklet on Urban Waters. The Urban Waters KIDs book has been on Project WET’s agenda for a few years now, but the 2008 recession halted its development due to lack of available funding. However, it did not take long for Project WET President and CEO, Dennis Nelson to recognize my summer internship as an opportunity to revisit the Urban Waters KIDs book. Although it tends to take about a year from the start of a KIDs book to its first publication, the thought is for me to work on “getting the ball rolling” on the publication. And I am thrilled to be working on it! So what will a KIDs book on Urban Waters look like? The goal of the publication is to provide young people with a source of insight and inspiration regarding water management in a city. With this in mind, Dennis provided me with a list of preliminary topics the book could cover, a blank 16-page booklet, and a green light to begin brainstorming. I was pleased to discover Project WET tends to do visual brainstorming and outlining, so for the past few days I have been alternating between research and sketching potential spreads for an Urban Waters KIDs book. Topics range from a city’s water address and source water, to water recycling and municipal water challenges. I’ve also enjoyed sketching ideas for the layouts of the cover and different spreads. Each spread spans two adjacent pages in the booklet and covers a single over-arching topic. So far, I have a rough cover image and spread for an urban waters historical timeline, water users in the city, and the urban water cycle. Although Project WET’s illustrator will take care of the imagery in the actual KIDs booklet, it does help to have a rough visual from the start to spark discussion about the basic concepts and flow between topics and spreads. My undergraduate thesis for Oregon State’s University Honors College focused on early childhood environmental education. Thus, it has not come as a surprise to me that putting together a KIDs book is nowhere near as simple and easy as it may seem at first glance. Not only do KIDs books cover in-depth scientific knowledge about all things water, they do so in a way accessible to young people and accompanied by demonstrative illustrations and activities. To put something scientific at the reading and comprehension level of an 8-12 year old means the writer must thoroughly understand the topic themselves, from the most basic underlying assumptions to the general concepts and specific details. It almost makes writing a book for adults seem like a simple and easy alternative! P.S. The images in this post are from Hyalite Reservoir, where my family and friends spent the 4th of July weekend! This is to everything we have to be proud of, thankful for, and stand up for in this country. Sometimes the reasons we do things are lost in the mayhem of celebration, but there are some traditions that never fail to touch me. This Independence Day my entire family is together—my older brother landed here from Burbank just this afternoon—and we had dinner with each other, our extended family, and close friends. 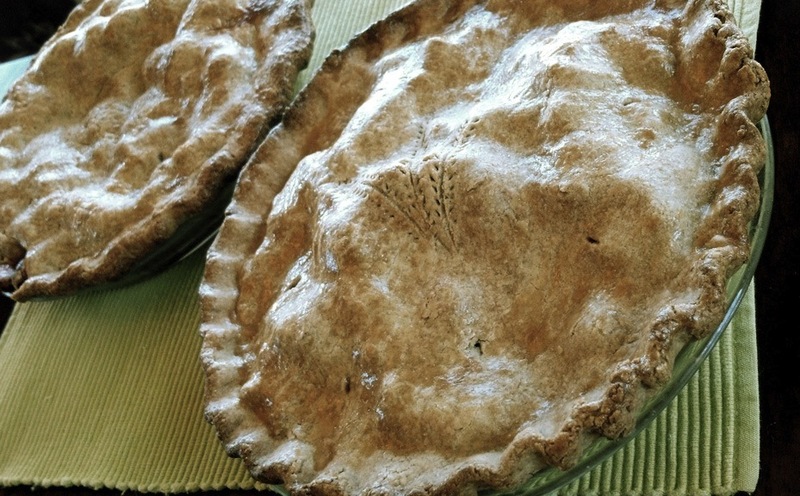 Of course there are fireworks bursting in every direction outside; homemade (crust and all) apple and strawberry-rhubarb pies in the kitchen; one of my grandmothers dancing and ‘conducting’ the symphony on ‘A Capitol Fourth’ in the living room while my other grandmother sneaks a bite of every dessert (if it’s just a bite it doesn’t break a diet, right? ); two guitars and a banjo jammin’ on the back porch as the ‘adults’ stand by and try to figure out the camcorder so they can capture it all on video; and, through everything, enough laughter and good spirits to make a camcorder unnecessary to ingrain this in our memories. We have so many things to be proud of, thankful for, and stand up for in this country. Let us not forget this when we begin to trip up on the small things.